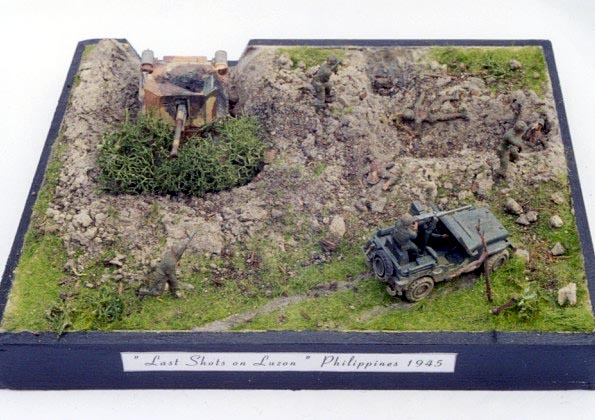 This diorama in 1/76 scale represents episode from last fights on Philippines islands. 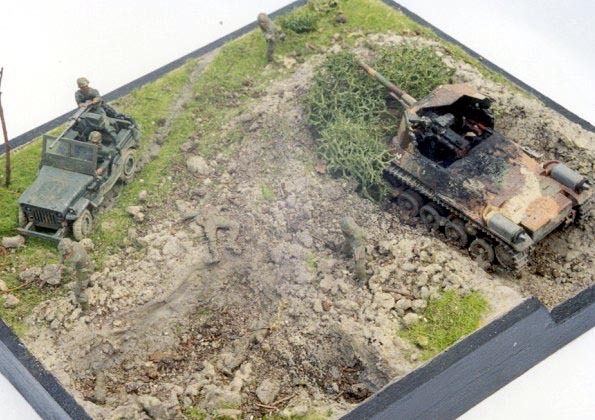 This diorama is inspired by my own fantasy and knowledge in history of WWII in Pacific only. Willy's Jeep and Ho-Ni self propelled gun by Fujimi.